How does the dedicated Christian living is an increasingly secular and hostile country share the gospel? Are the days of evangelism over? Is it time to throw in the Gospel towel and shelter behind the brick walls of the church? 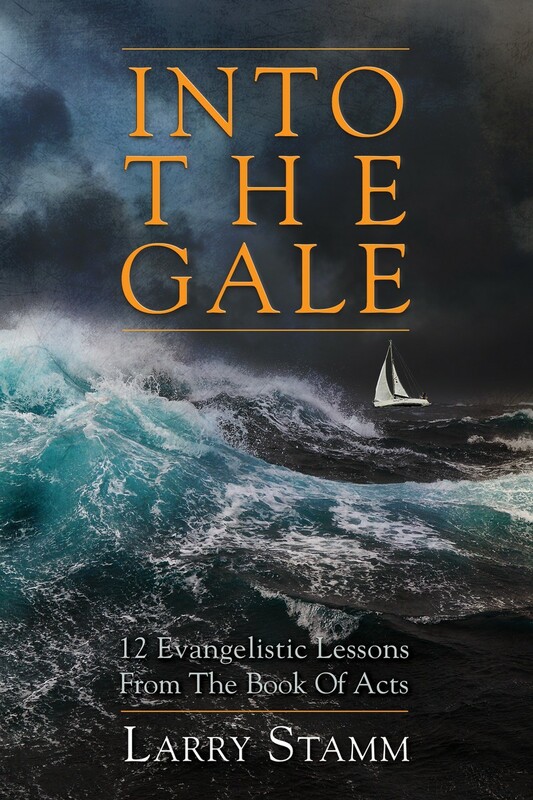 In his book INTO THE GALE, Larry Stamm argues that evangelism is still a vital part of the Christian life. Taking lessons from the first century church as found in the Bible’s Book of Acts, he shows how the twenty-first century Christian can still take a stand for Christ. Yes, the contemporary church is sailing on choppy seas and in gale storm winds, but the church is not sinking. The work today continues as it did so long ago. And people are still coming to Christ. INTO THE GALE uses ancient truths to guide the modern believer into a storm-tossed society— and prevail.